High-frequency payors, like insurance companies, stand to benefit the most from payments modernization. 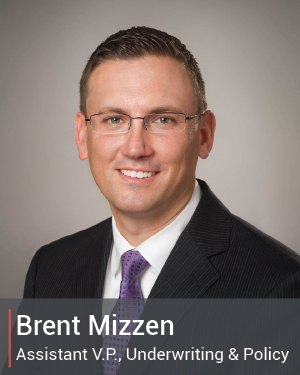 Payments Canada asked Brent Mizzen, Assistant Vice President, Underwriting and Policy for Canadian Life and Health Insurance Association (CLHIA) to share his thoughts on how ISO 20022 will benefit the insurance business and industry as a whole. As high-frequency payors, I’m guessing insurers are most looking forward to faster payments with more data. Is that a fair assumption? In our industry, the ability to have remittance data travel with electronic payment data - due to ISO 20022 - is an exciting outcome of Modernization, for sure. For instance, ISO 20022 enabled payments will allow an insurer paying a claim to be able to share information on whether a particular payment is for dental work or prescription drugs as part of the payment itself. As a result, insurance customers will have a better understanding of what percentage of each claim was covered, and why. All this reduces the guess work on the customer’s end, and the back-end work for the insurer. And it means fewer paper cheques! We are also excited for request-to-pay functionality as a result of Modernization. Let’s say a customer changes their banking information but forgets to tell their insurance company. In today’s world, the insurance company has to track down the customer by phone or email when a monthly premium payment fails to go through. However, if an insurance company can issue a request-to-pay in real-time it will allow them to quickly get in touch with the client and correct the payment. Some of your member insurance companies are using ISO 20022 already. What can you share about their experience? Consider, for example, a large insurance company with global operations and the impacts of ISO 20022. Insurers continuously strive to improve our risk management processes. Conformance to ISO standards helps insurers meet or exceed accepted insurance industry standards, certifications and accreditations. One member company recently migrated its wire payment process to the ISO 20022 payment format. The insurer's planning roadmap calls for migrating other payment types to this standard within two to three years. ISO 20022 guidelines are becoming the global, de facto standard for payments. We believe that Payments Canada and our Canadian financial institutions need to work collaboratively to create a consistent payment standard in Canada (across all financial institutions and third parties) within a set deadline. It will be helpful if payment standards in Canada can be as consistent as those adopted around the world. For any companies with global operations, consistency is critical to allow for standardization, centralization and automation opportunities. This will ensure payment transparency and global interoperability of payment execution and allow rich “usable” data to travel with payments. If you and your members could ask one thing of the payments industry and Payments Canada regarding ISO 20022, what would it be? The one thing we would ask is commitment to a clear timeline to mandate ISO 20022 for the objective to reduce cheque usage. From there, financial institutions can work with stakeholders and Payments Canada to engage with large corporates to meet mandated timelines. With a mandate, corporates and financial institutions can plan their workload and priorities. In terms of engagement, the more communication the better. An open dialogue helps everyone understand different perspectives and work towards a shared endpoint. Payments Canada’s SUMMIT is just around the corner. We know you’ll be there! What do you hope to learn at this year’s event? It would be great to hear from other practitioners in our industry about their payments pain points and how they’ve been able to solve them. Our industry also wants to see how payments have been modernized internationally and how we can learn from different countries. I’m looking forward to connecting with colleagues and professionals within the payments ecosystem both from Canada and internationally. The CLHIA is a voluntary association whose member companies account for 99% of Canada’s life and health insurance business. The industry provides a wide range of financial security products such as life insurance, retirement income plans and supplementary health insurance to almost 29 million Canadians. The industry processes hundreds of millions of claims annually and paid $92 billion in benefits to Canadians in 2017 (nearly $1.8 billion a week). Brent Mizzen, Assistant Vice President, Underwriting and Policy for Canadian Life and Health Insurance Association (CLHIA) and Chair of Payments Canada's Stakeholder Advisory Council.